Veterans’ Day, unlike Memorial Day, is for all (this world and the next) those who sacrificed their freedom at any point to secure ours. My Promise to myself, my country, and those that I love is to not forget. Ever. 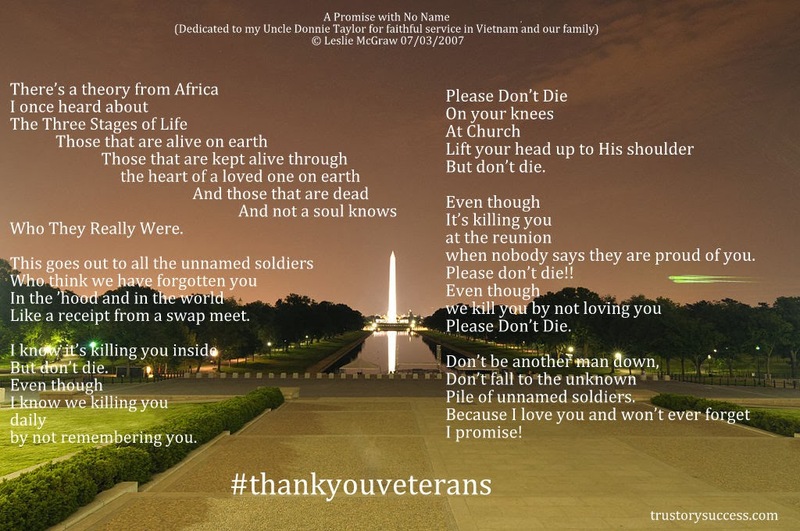 I want to give pause to expose my heart and shower attention towards my veteran loves along with a poem I wrote a few years ago in dedication. Feel free to post names and service, stories, or poems about your loved ones in the comments! ♥ = Soldier is no longer alive.